Provide comfort for the family of Edward Redman with a meaningful gesture of sympathy. Edward Arthur Redman, age 79, passed peacefully Saturday, January 12, 2019 following an extended illness. He was born in Augusta on July 1, 1939 son of the late John E. and Neva G. (Crooks) Redman. Ed was a loving husband, father, granddad, son, uncle, godfather and friend. A member of the Cony High School Class of 1958, he lettered in football, basketball, and track. Proud to be called a veteran, he served in the Naval Reserves followed by three years in the U.S. Army helping to support his mother and grandmother. He was stationed at Fort Dix, Fort Benning, Fort Monmouth, and finally Fort Shafter for “Weather” Observation. He married his high school sweetheart, Louise Dostie on March 5, 1960 having met her on the Chizzle Whizzle Booth committee. In 1965, Mr. Redman earned a Bachelor of Science in Education from Farmington State Teachers College where he played soccer and basketball. He completed his Master’s in Education at the University of Maine in 1971. His first teaching jobs were at St. Albans Elementary and Readfield Elementary where he coached basketball and baseball. 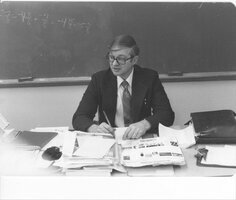 He taught math, history of Maine, and science at Lou Buker Junior High School from 1971 to his retirement in 1986. While at Buker, he started the intramural sports program so all kids would have a chance to play. After his teaching career, Ed started his own carpentry business completing many projects in the greater Augusta area. Mr. Redman was a communicant of St. Augustine Catholic Church where he also taught CCD including his daughter’s confirmation class. Always supportive of his daughter’s activities, he enjoyed transporting the cheering squad to many away football and basketball games. He loved his family fiercely and looked forward to hosting annual 4th of July events and sharing his passion for Lionel trains. He was especially proud to help his grandsons with their Pinewood Derby Cars and Eagle Scout Projects being honored as an Eagle Scout Mentor. He was pre-deceased by his parents, brother, Robert G. Redman, two sisters Johnna Wood and Alyce Burns. Mr. Redman is survived by his wife of 59 years, Louise RoseMarie Dostie Redman; his daughter, Jennifer Anne Redman Lanphear and her husband Harry Lanphear III; grandson Harry Lanphear IV, wife Brittany and great grandson Harry V; grandson Thomas Edward Lanphear and his girlfriend Karina Ramos, Aunt Sybil Huard, sister-in-law Priscilla Redman plus several nieces and nephews. Relatives and friends may visit on Friday, January 18th from 2-4 and 6-8 PM at Plummer Funeral Home, 16 Pleasant St., Augusta. A Mass of Christian Burial will be celebrated Saturday, January 19th at 11 AM at St. Augustine Catholic Church, Augusta. Committal prayers with military honors will be held in the chapel on Friday January 25th at 9:00 am at the new Maine Veterans Memorial Cemetery, Mt. Vernon Rd., Augusta. The family thanks the staff at MaineGeneral Rehabilitation and Long Term Care at Glenridge for their compassionate care. In lieu of flowers, contributions in Ed’s name may be made to Cony All Sports Boosters attention Cony High School or KVYMCA Strong Kids Campaign. Committall prayers and military honors will be in the cemetery chapel at 9:00 AM on Friday January 25, 2019. Mikaela and family sent flowers to the family of Edward Arthur "Ed" Redman. My memories are of the Cony Football team, as I look over there is Eddie - and he accepted me even when I had to prove myself to others. Coming from Portland and trying out for the football team here was no easy feat. Thanks Ed for all the good memories of our fantastic Cony Football team. May your family experience happy memories as well. RIP my friend. Thinking of you all. Truly wish the girls and I could be there. We send lots of hugs and love. I will cherish all my memories of Uncle Ed. We have a great family! Mikaela and family purchased the Sweet Tranquility Basket for the family of Edward Redman.